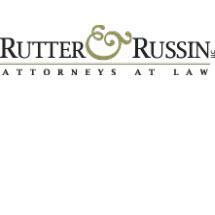 Rutter & Russin represents policyholders, not insurance companies, in all types of insurance coverage disputes, including the denial of fire, water, vandalism, theft, life and disability insurance claims. We also represent policyholders in examinations under oath (EUOs) when an insurance company suspects its policyholder of arson or fraud. The firm handles insurance coverage disputes that businesses have with their insurance companies, including declaratory judgment actions, business income loss claims, enforcement of an insurer's duty to defend, and insurance agent negligence.